NEW DELHI (ASSOCIATED PRESS) — Fear and anger. Those are the emotions that shadow Odole Emmanuel Opeyemi every time the Nigerian man steps out of his New Delhi apartment. Every encounter with Indians is fraught with those feelings, whether he’s taking an autorickshaw or the Metro, buying vegetables or trying to find a spot to park his car. Opeyemi is among hundreds of thousands of Africans in India, drawn by better education and work opportunities. For them rampant racism is a daily battle in a country where their dark skin places them at the lower end of a series of strictly observed social hierarchies. 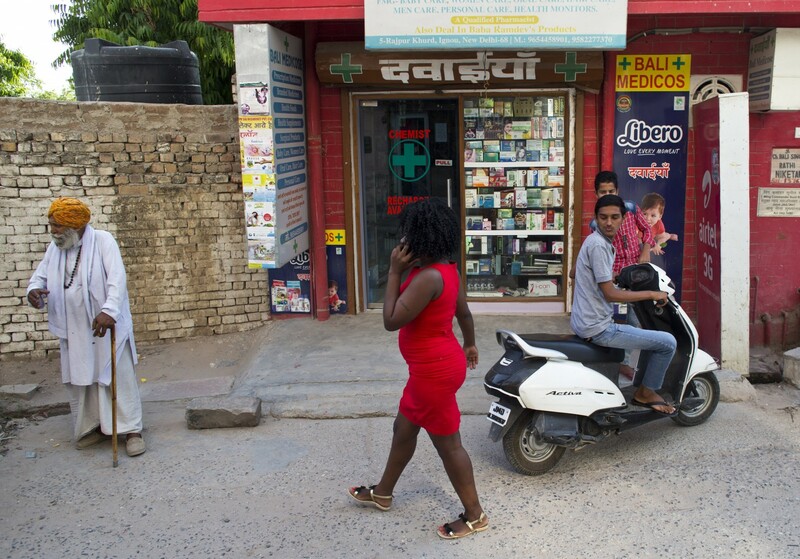 Indians routinely perceive Africans as either prostitutes or drug dealers. The death made the city’s African students, diplomats and business owners rally together demanding quick justice. The African Heads of Mission in New Delhi issued a statement asking the government to address “racism and Afro-phobia” in the country. The killing and the outrage it sparked drew an unusually prompt reaction from local police and India’s foreign ministry. Two men suspected in the attack were arrested within a day, while a third remains at large. Minister Sushma Swaraj tweeted that her ministry asked for “stringent action against the culprits.” But the ministry also said all criminal acts involving Africans should not be seen as racial in nature. The bad press the country got as a result of the killing prompted India’s glacial government machinery to move quickly to try to address the issue. There were other well publicized examples of anti-African prejudice in India before Oliver’s death. In February, a Tanzanian woman was beaten and stripped naked by a mob in the southern city of Bangalore after a Sudanese student’s car hit an Indian woman. In September 2014, a video of three African men being beaten inside a security booth at a New Delhi Metro station went viral. For several minutes a large mob beat the men with bare hands and sticks and shoes as they climbed up the walls of the glass booth in terror. The police were absent. At a recent racial sensitization session in Chhatarapur, the mutual distrust between the Indian landlords and their African tenants was glaring. “I’m scared,” said Nancy Joseph, a 23-year-old law student from South Sudan. That fear keeps her from visiting friends at night. The autorickshaw driver may refuse to take her. Groups of Indian men could gather and call her vile names just for fun. “Delhi is the worst city I’ve ever lived in,” said Eddie King, a student from Nigeria. He hasn’t made a single friend in the year that he has spent in the country. The landlords say African tenants drink all day and play loud music all night, characterizations that Africans dismiss as unfair. “They stand drinking beer on the road. We feel scared crossing the area,” landlord Umed Singh said. Whether this session succeeded in sensitizing anyone was unclear. Police simply told both sides to try to understand each other. King said he’ll leave India as soon as he finishes his studies next year. “The African man cannot work with Indians. That’s just the truth,” he said. Opeyemi, a 34-year-old soccer coach, said he will stay. It’s easier for him to earn a living here than in Nigeria, so he will endure the indignities. Those include hearing someone call out “Habshi!” — the Hindi word for a black person — as he tries to get on a bus. Recently, as he tried to park his car, someone called him “bandar” — a monkey. “The security was looking but they said nothing,” Opeyemi said.